Do you have the potential of writing some mind tickling matter?Or do you want to make some money online? If "yes" is the answer then here is an easy way of earning money sitting at home.If you go about in a proper way there is no one stopping you from making big money and you can make it your full time career. Every minute someone or the other is searching/buying/selling and e-book.Writing an e-book is not as difficult as it seems to be.As long as you are good at writing on some topic and do a little bit of homework and avoid shortcuts,you can make money flow into your account. If you want your new e-book selling business to be a success,then you should have something that will attract people towards the book.That calls in for original writing. it need not be an unique topic but the content of your book should be unique.Do some research about what you are going to write. Secondly you should decide on a clear title for your e-book.From the title itself the reader should know what the book is about.It should be specific. 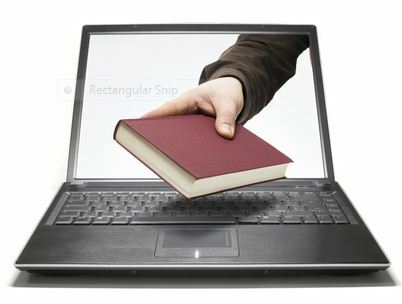 Once your ready with this , your e-book is ready to enter the market. An e-book need not be hundreds of pages long. Dragging a particular topic could turn your e-book into boredom. Even if the book is about a dozen of pages , but has some really good matter, then it will easily sell. You have to decide about the price now. Do some research on websites which are selling such products , like eBay, etc. Your book should neither be over-priced nor under-priced, because this is your first e-book. Try to be reasonable. Next is Marketing your e-book. Try to sell it on eBay or other such sites. If you can manage to create a mini site only to promote your e-books , then it could work wonders. Mini sites are single page sites , just to promote ur e-book in a long sales letter. When you write a sales letter be sure to include plenty of keywords and phrases to attract a greater volume of search engine traffic to your site. Pick up a relevant domain name too!! So that's it , and by following this you could start right away, with hardly any investment!!!! Thats a very nice idea! Thanks for sharing. Yes,Found it worth sharing! Tx ..